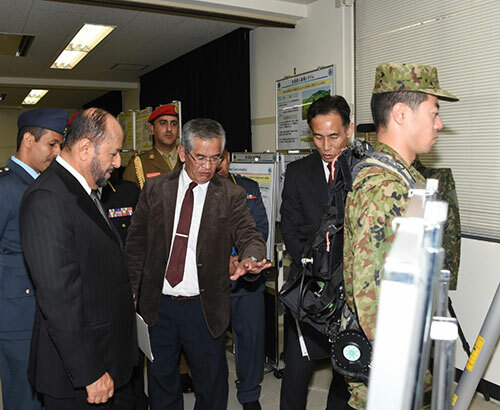 Sayyid Badr bin Saud bin Harib al-Busaidi, Minister Responsible for Defense Affairs in the Sultanate of Oman, who is currently visiting Japan, and his accompanying delegation visited the Advanced Defense Technology Center. The Minister and the accompanying delegation were briefed by the Center’s Director on the center’s capabilities and work mechanisms, as well as the advanced defensive technical equipment provided by the Center in cooperation with private companies. They were also briefed on the Center’s technical research department, electronic and simulation systems, services and achievements in the scientific and research field, according to Oman News Agency (ONA). After that, the Minister Responsible for Defense Affairs and his accompanying delegation toured some of the center’s departments and facilities.